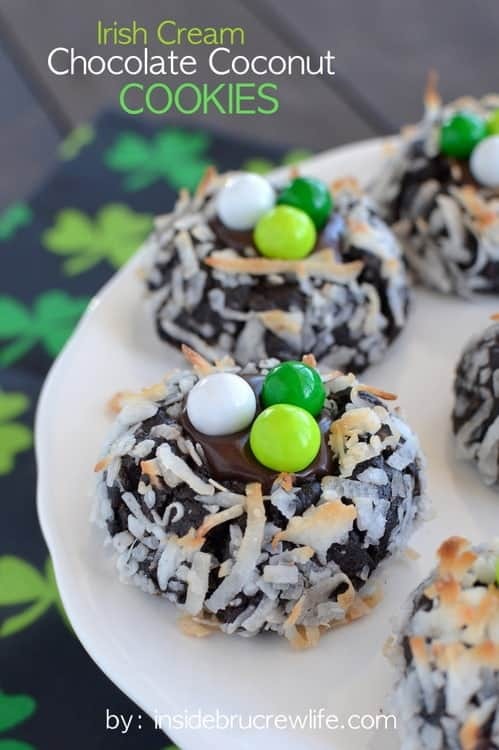 These Irish Cream Chocolate Coconut Cookies have soft chocolate centers and delicious toasted coconut on the outside. Do you like to celebrate different food holidays? 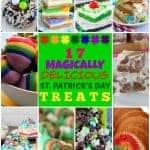 As a food blogger, I tend to really watch for “national holidays” so I can make more fun food. If you google it, you will find just about every day has something delicious they are celebrating. This time of year everything is showing up in green, mint, or rainbow. It is fun to create different seasonal foods that still work the rest of the year. 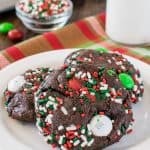 Just change out the colors, and these cookies will work for any holiday. 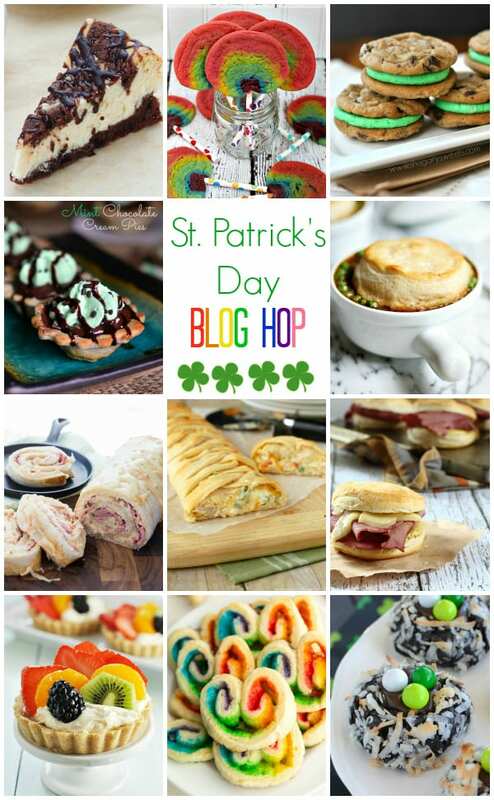 Today I am joining with a group of blog friends to bring you St. Patrick’s Day treats made using different Pillsbury products. 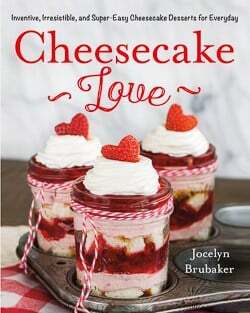 Make sure you keep reading all the way through to find the links to all these amazing recipes. Cookies are one treat that I love to bake each week. My kids pack their lunches almost every day, and I like to have cookies on hand for them to take. Most of these cookies are made from scratch, but there are the occasional weeks we buy packaged cookies. Yes, this food blogger cheats from time to time. Some weeks I even use pre made cookie dough. I love that Pillsbury cookie dough comes in a variety of flavors and is so easy to bake up. 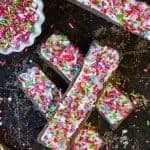 You can also use the dough in a variety of ways to create fun recipes. 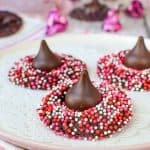 For this Pillsbury creation, I wanted a chocolate thumbprint cookie filled with chocolate cream. To get a chocolate sugar cookie, you need to crumble the entire package of cookie dough into a bowl and add some cocoa powder. Mix until you have a really nice stiff chocolate dough. I find myself adding coconut to a lot of things this time of year. Mostly because I am tired of the cold and winter, and coconut reminds me of the beach and summer. Bring on that summer loving! Roll the chocolate dough into 24 dough balls. After a dip in egg wash and a roll in coconut, they are ready to bake. Don’t forget to press your thumb into the centers! You want to have a nice little pocket to hold the chocolate cream. Go ahead and reshape the edges if pushing your thumb in messes up the round shape. Just look at the gooey chocolate center!! Did you know you can make chocolate cream (or ganache) from flavored coffee creamer? It is a fun little trick to flavor your chocolate. I used an Irish Cream creamer that I brought to a boil. Remove from the stove and stir in the chocolate chips until you have a delicious creamy mixture. Let it cool slightly before filling the cookie centers. You don’t want chocolate running every where. There was a little bit of chocolate leftover in the bowl after filling the cookies…do what I did and eat it with a spoon 🙂 So wrong for the diet, but so right in the moment! You know you want to join me in baking up another batch. 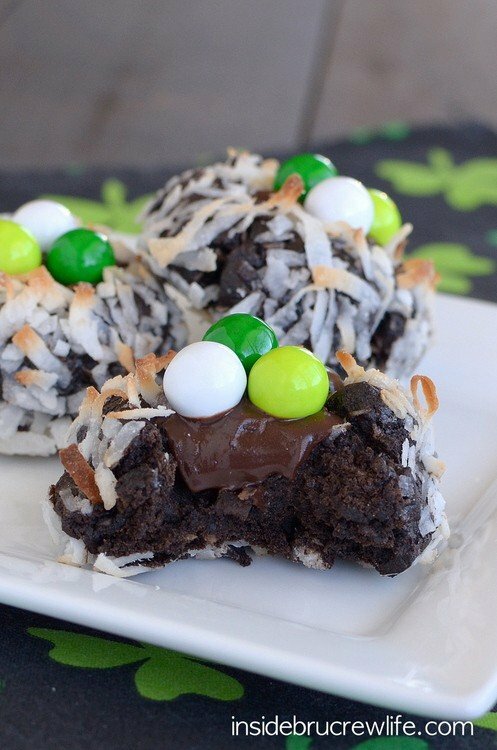 Chocolate, coconut, and Pillsbury…it’s a match made in heaven for sure. These cookies didn’t make it into the lunch boxes this week. After sampling 2 — what? I had to be sure they were good 🙂 — I boxed up the rest and surprised a coconut loving friend with cookies that day! I have decided to start “surprising” local friends with some of my baking. I bake so much, that we do not end up eating it all. 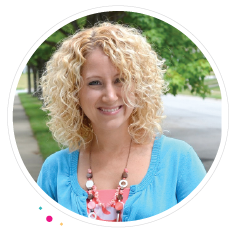 I am really excited about the idea of “gifting” treats in a fun way! 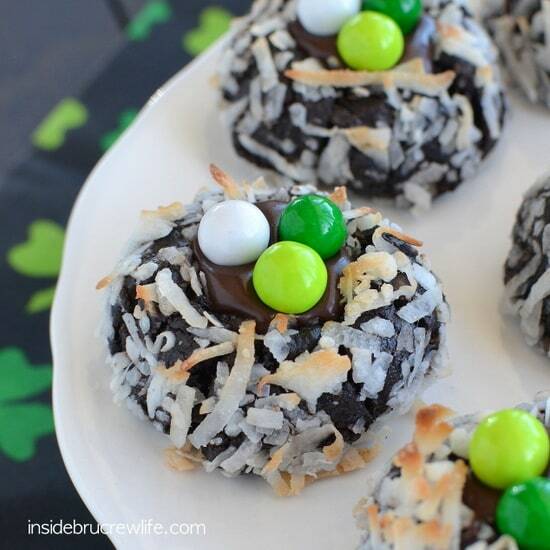 Chocolate cookies rolled in coconut and topped with a delicious Irish Cream chocolate. Crumble the sugar cookie dough into a large bowl. Add 1 cup coconut and the cocoa powder. Mix until it is completely mixed in and the dough looks like chocolate sugar cookie dough. Roll into 24 balls. Dip the cookie dough balls one at a time in the egg whites and roll in the remaining coconut. Place on a baking sheet. Use your thumb to create a well in the center of the cookies. Bake at 350 degrees for 10-12 minutes. Let cool on the baking sheet for 1-2 minutes. Gently press the centers down again with the end of a wooden spoon. Remove to a wire rack to cool completely. Bring the coffee creamer to a boil. Remove from the heat and pour in the chocolate chips. Let the mixture sit for 1-2 minutes. Stir until creamy. Let cool 5 minutes. Spoon into the cookie wells. Let set and top with candies. Store in a sealed container. Makes 24 cookies. *You can use green M&M's if you cannot find the Sixlets. Cookies are always good to keep on hand. I try to keep a stock pile in my freezer for when I need them for last minute company too. Those looks delicious. Especially the center. Yum! These are so fun! 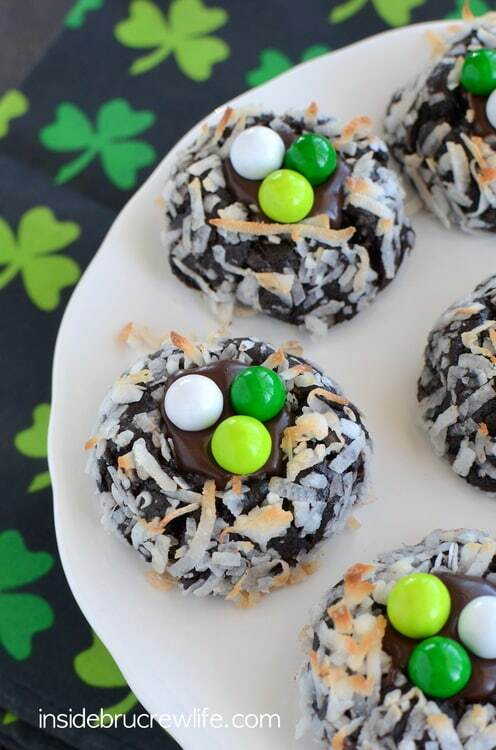 I adore anything coconut, especially when paired with chocolate! The Irish cream is an added bonus! 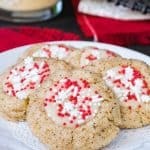 What a festive, fun, simple cookie! Great recipe! I totally hear ya on that!! Wow, gimme a dozen of these! Love the idea Jocelyn. Such a genius way to make the chocolate cookie dough! LOVE! Seriously so brilliant. I love everything about these cute cookies!! I want to eat one right now! In addition to these adorable chocolaty morsels, I really appreciate your baking/cookie shaping-styling tips! Pat the tops….push in the edges…drizzle the tops…. (even your past tip about using a hair dryer for gently re-melting icing has been put to good use!!!). Now I can add ” how to make sugar cookie dough chocolate” and “using coffee creamer for ganache” to the list. Thank you, Jocelyn! You are on top of this holiday like no one else! 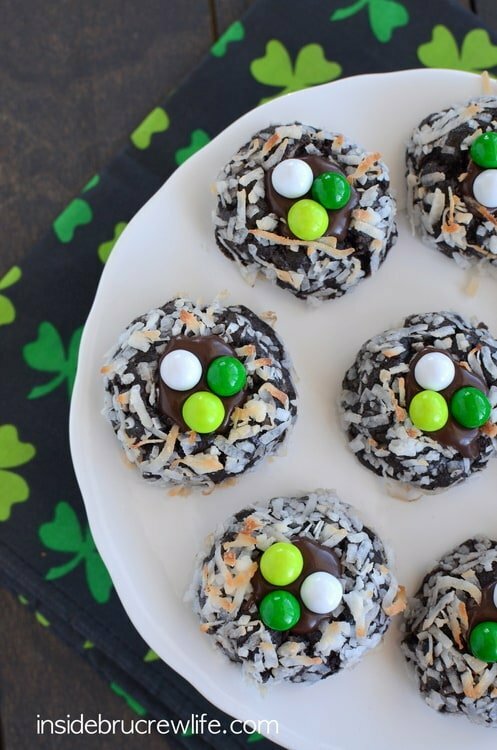 These cookies look so good – the coconut and Irish creamer sound amazing together! I love chocolate coconut, these cookies sound awesome Jocelyn!! These are so cute!! And I am certain I can devour a dozen before realizing the damage. Coconut is my vice. 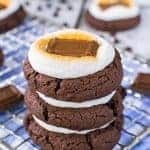 These cookies look absolutely incredible!!! Amazing girl! These look delicious! I’m totally about anything that reminds me of warmer weather this time of year. I’m on a coconut kick too! 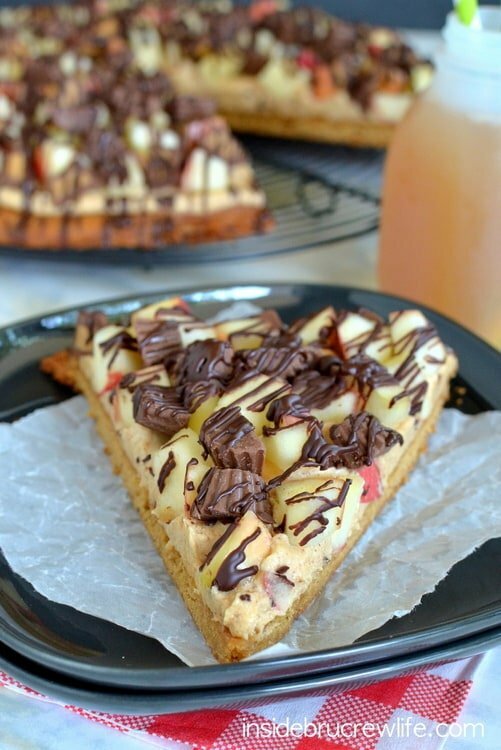 What a creative way to use cookie dough! Plus I am super jelly of whoever took the bite for that last shot! 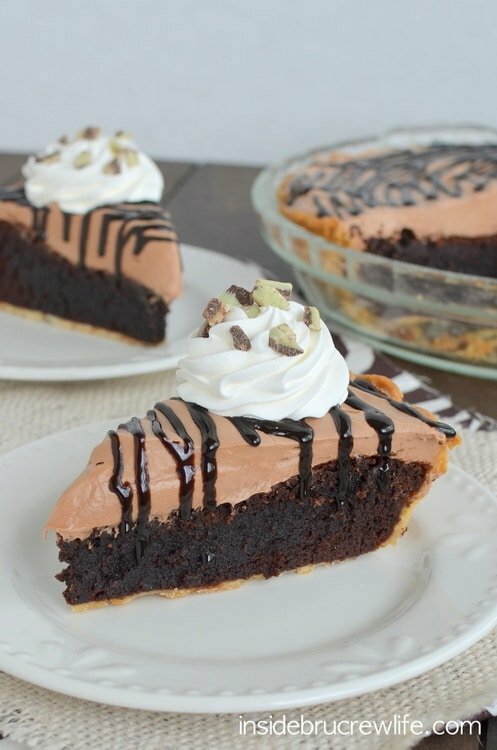 That gooey chocolate center is calling my name. Love these. Pinned. You’re so sweet! Thanks Kelly!! Definitely a great idea!! 😉 Thanks Lindsay! I love how easy and festive this is! And good for you having your kids make their own lunches. That is good training for the real world. A lot of times, I have my 9 yr old get lunch or breakfast ready for her and her sister (mostly because I’m preoccupied with the baby) but it is great training for a servants heart. Chocolate and coconut together are just pure heaven to me. Love these cookies Jocelyn!